I am REALLY excited about this. It's just as great as the other events, but different enough to complement them perfectly. Last edited by icycalm on 05 Oct 2017 10:08, edited 3 times in total. Rough first draft. We are still working on ideas for the emblem. However, this is again an experimental event, which means I will be trying several different approaches depending on how many people show each week, and what the previous games in the series have given me in terms of data. So for example, if fewer than 20 people show this Saturday, we will use landing zones. If more than 20 show, I will turn on spawn anywhere. Similarly with the random system. If I use landing zones, I will pick a system that has been tested with big FFAs. If I use spawn anywhere, I will use a random system, since it won't have to be "balanced" (since you can spawn anywhere on it). My ultimate goals are the ones I listed above, but these will only be used/needed when the player number reaches a level that justifies them. Until then, I will just be using whatever format seems to work best from game to game. As with the early Clan Wars, you can expect lag, especially in the early games, until I get a good feel of how many players I can fit into a particular system or type of system without lag, and what effect the spawning anywhere or landing zones have on top of that. Eventually, however, I will figure everything out and things will go more smoothly. As for scheduling, we will need to use the same time slots as with Clan Wars, because those are the ones that best accommodate all time zones. So, this Saturday the War is at 22:00 UTC, so Battle Royale will take place at 15:00 UTC (and the League games will happen at some other time during the day if we manage to arrange them). Long term, I think we will alternate Clan Wars and Battle Royale, week by week, with the exception of some special Saturdays, like the coming one, in which we will hold both. I will have more on this next week, after I have thought about it more. 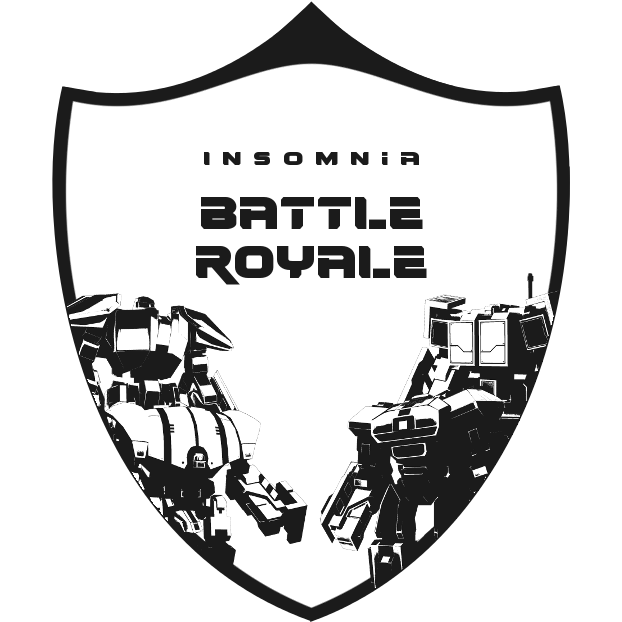 For the time being, I am announcing Battle Royale #1 for Saturday, October 7, at 15:00 UTC, and I hope to see many of you there. (The time is already penciled in on the site, for reference: http://cosmicwar.net/). In the meantime, if you have any comments or suggestions, make them here, and we will talk about them. Another rough draft. I'll get some sleep and try to finalize something tomorrow or the day after, so icy can get the leaderboard up on the site. For the first event, I will try to play it conservatively, and go with the prevailing large FFA format of single-planet system and disabled Ragnarok. We'll see how that goes, and then re-evaluate. The choice to go with premade system+landing zones or random system+spawn anywhere will depend entirely on how many people show up (i.e. less than 20 or more than 20). I will try to be prepared for both eventualities. I will cast unless other caster(s) show up. I would prefer to play, so I hope someone does show up. A small Bounty Mode setting is a possibility. I played a game today with it turned on for the first time, and it made good sense in an FFA. I guess it disincentivizes turtling, which is the lag-bringer. I have been chatting with mikey about ways to reduce the number of participants if the event gets popular, for lag reasons. He suggested limiting the number to 20, and allowing in the first 20 to enter the lobby. I just thought of a better idea. If the lobbies get too huge, we only allow Gold and up. After all, who wants to see a bunch of Bronzes and Silvers, when you can watch the best? Plus, you motivate Silvers to improve, in order to get in the event, sending them straight to the ladder. I myself am prepared to spend a dozen hours a week playing Ranked in order to make Gold, so I can participate. We could hold a second division event for Bronzes and Silvers, but I don't think I will have the time to host that, unless we do them on alternate weeks (and since we will already be alternating with Clan Wars, eventually, that would mean that each division of Battle Royale would only play once a month). 2. When my efforts in this direction have been exhausted, and no further improvement is possible, I will introduce rank-based divisions. For this Saturday though, everyone is welcome, regardless of rank. Then we play, record our results, and re-evaluate. It is available now in the mod manager, so make sure to check it out. I want to make clear that, for this Saturday, I will be ready for anything: I will have maps for anywhere between 5 and 50 players. The more players we get, the smaller the map, and past 20 I will activate spawn anywhere on top of that, so sharpen your comm-boxing skills cause you might need them to survive the opening phase. If some people don't like experimental events, stay away for now and join us in a few months, when I will have settled on a format. I already have a perfect vision in my head of what I want the event to be like, but it's not technically feasible yet, and won't be for some years, so I need to experiment for a few months until I've figured out exactly what is possible, and what is the best mix of compromises to achieve it. When/if the divisions come, I have thought of a way to handle it. We have two servers available now, so we can simply have me hosting the Gold-Uber main event on one of them, fully casted etc., and then all the Bronzes and Silvers that show up can play, at the same time, an exhibition match on the other server, so that they won't feel left out. And I won't be involved with hosting or casting that expo game. We'll get a trusted member of the community to take care of that, perhaps a different one every week. And everyone will be happy. 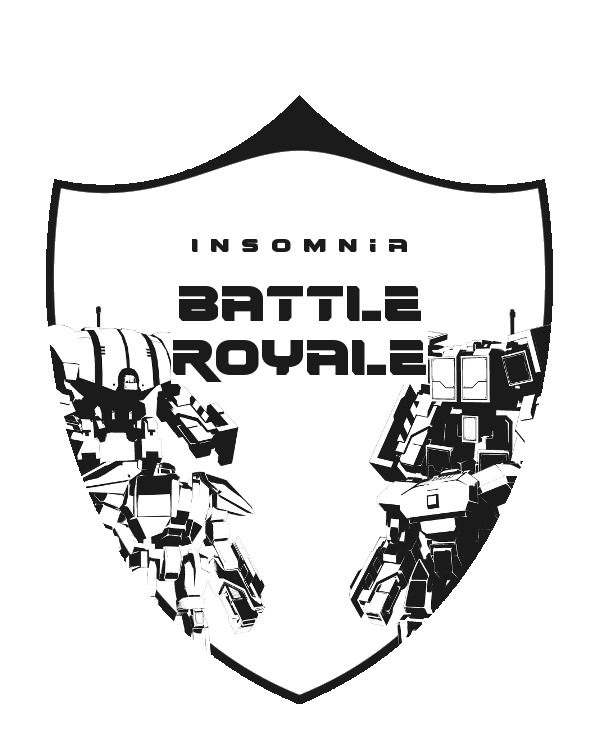 We can also give an invitation to the next BR event to whoever wins the expo game the week before. It will make that match more interesting to the participants, as they'll be fighting over a significant reward. Just a thought for Battle Royale, there is a really good no-CSG lava planet by KillerKiwi that causes almost no lag, and all the metal is spread evenly all across the planet. I need to find it again, but if you want an FFA with maybe 25-30 players, that might be the way to go rather than the Awesome system generator (as fun as it is), because it tends to use quite a bit of CSG. Anyway, just a thought! I will look for this map today, but if you remember the name let me know. Let me also reiterate that if we get more than 20 players, we will turn on spawn anywhere, and the first part of the game will be more or less pure comm-boxing, so if you don't like comm-boxing, it would be best if you didn't join, to avoid disappointment. The best way for you to think of the event, so that you won't be disappointed by it, is as a COMM-BOXING EVENT, with proper FFA play happening ONLY for the SURVIVORS of the comm-boxing. 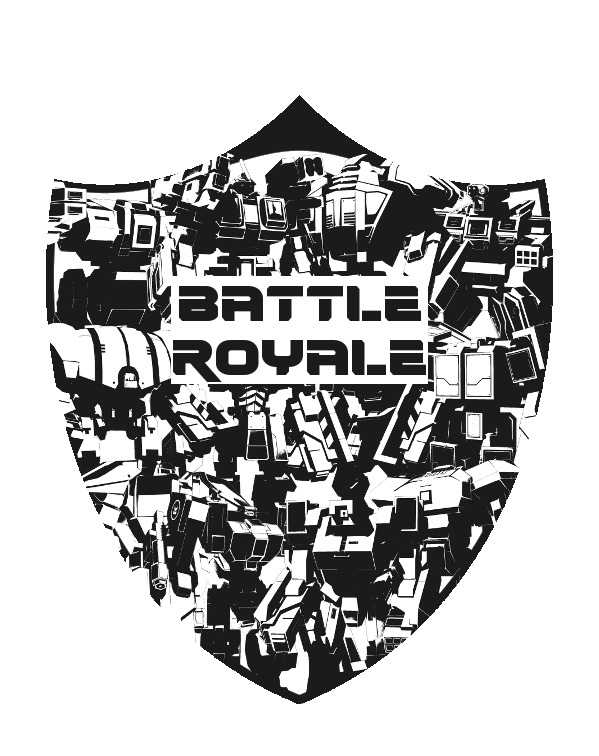 Interestingly, that's exactly what happens in Battle Royale fiction too: there are usually a bunch of deaths right at the start, followed by a slowing of tempo, with the occasional death here and there, and then another big bunch of deaths right at the end, so the event (whose name was Robo's brilliant idea) should live up to its namesake. This is a recent FFA hosted by BRN on the community server that I came close to winning, and that inspired me to start the Battle Royale event. Starting at 14:00, Marshall criticizes my move towards Elite (whom he mistakes for Furballman), and says the bigger threat was Skywalker in the other direction. However, I was sitting in the same Discord with Skywalker and Furballman the entire game, and we had an alliance from the start. That's why I was free to ignore my front with Skywalker the entire game. Of course it wasn't possible for Marshall to know this, nor was there any way for him to figure it out by observing our behavior, especially given he had 10+ other players to pay attention to at the same time. So all I am saying is that, when casting FFAs, you should keep in mind that some players may be allied when you attempt to analyze their movements. Didn't Exodus make a trailer for Clan Wars Season 2 without actually making the Season? That forum seems to be allergic to any kind of actual work. They seemed quite content back in July when the forum was dead before we resurrected it, so maybe we should just leave them alone again? We don't have to actually talk to them. We can just spam announcements there, on the Steam forum, and on reddit, and just ignore their stupid replies. The information will still get through to whoever cares about PA, which was our goal with posting in the first place.